We are pizza lovers at our house but some times we like to mix it up. Most of the pizzas we make don’t have a red sauce they have things like BBQ Sauce or Buffalo Sauce or no sauce at all. I don’t put marinara inside the calzone but rather on the side for dipping. You could choose any of your favorite pizza toppings to stuff inside. 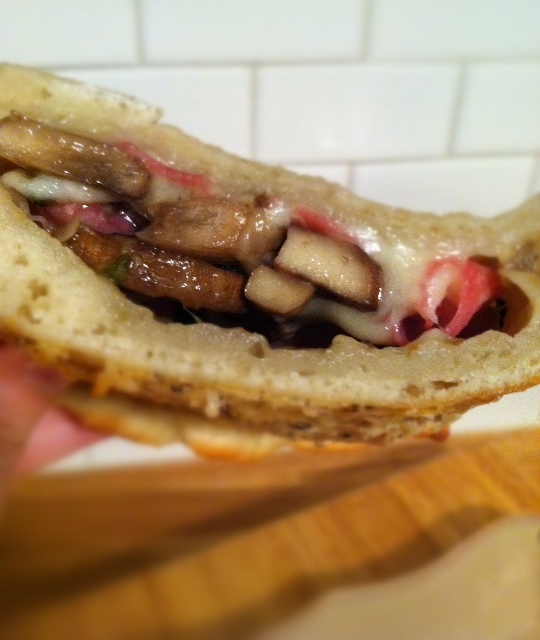 We chose fresh grated mozzarella, sauteed mushrooms and salami. 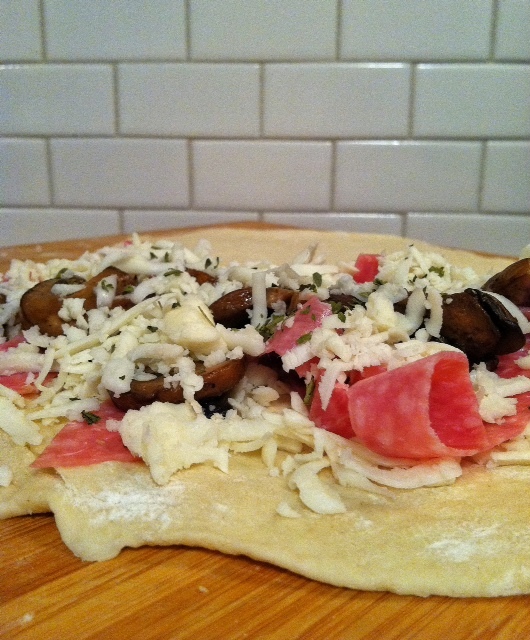 Use a homemade pizza dough or get your favorite dough from the grocery. The extra dough around the edges that you roll up and pinch is yummy too. 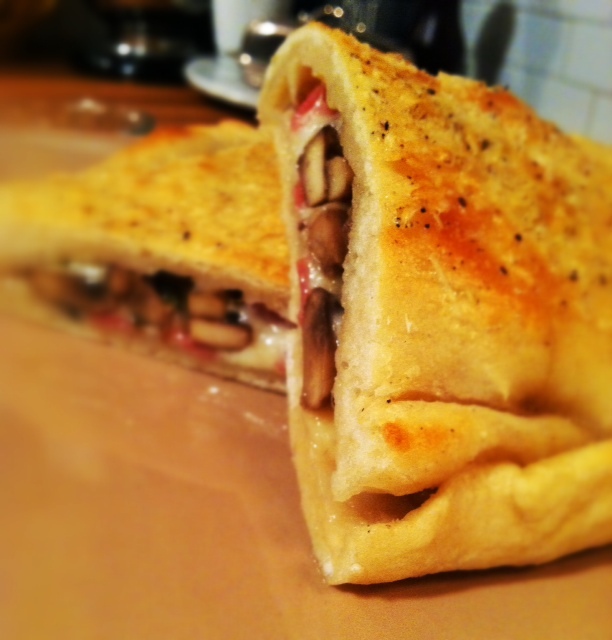 Back in college we ordered calzones all the time from a place called Imans. The calzones were greasy and packed full of your choice of toppings and were sure to cure any self inflicted ailments as a result of the night before. While I am not sure these calzones have any magical powers they were very good. They weren’t at all greasy either like the old cure all from back in the day. I only ate half of mine and saved the rest for lunch the next day. 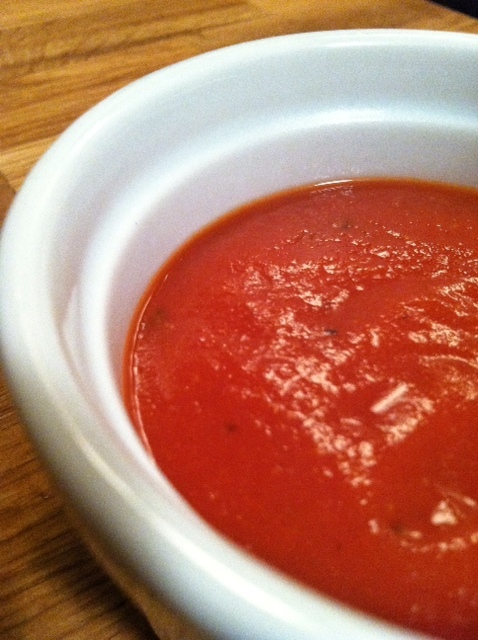 I made my own marinara but you could certainly buy store bought if that makes it easier for you. The outside turned out salty and crispy. While the indside was warm and melty. Instead of grabbing one from your local takeout make this instead! 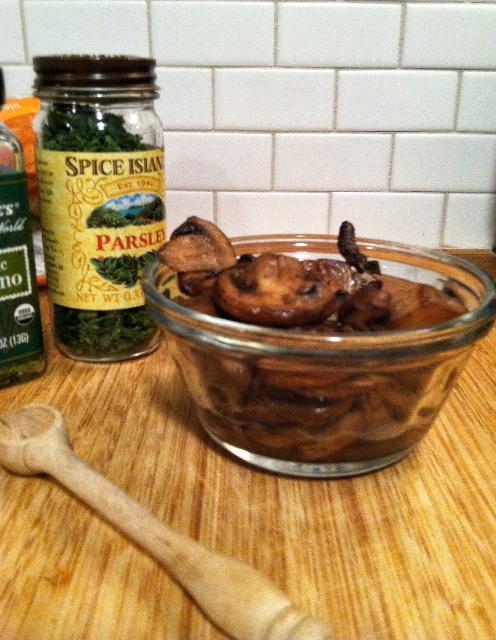 In a small saucepan over medium heat, heat olive oil and saute mushrooms until most of their water has evaporated. About 7 minutes. Set aside. Roll up salami slices together and slice 4 sections to make ribbons. 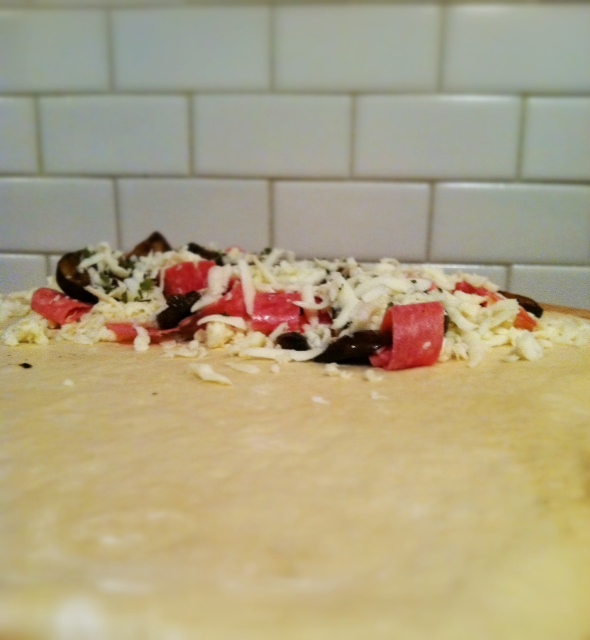 Fold the dough in half, covering the toppings to make a semi circle. 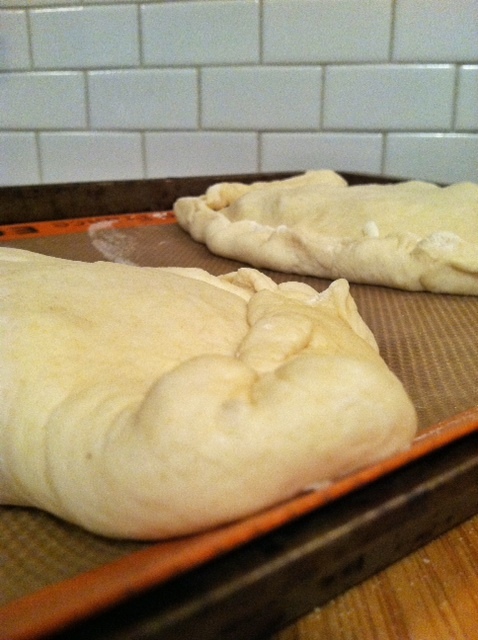 Crimp the dough to seal it off and keep all the toppings tucked safely inside. Bake for 15 minutes on a parchment lined baking sheet. While calzones are baking, make marinara. 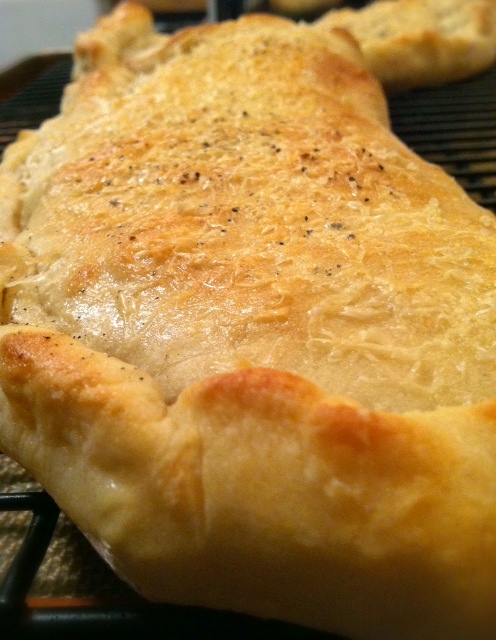 Remove calzones from oven and place calzones on a cooling rack on top of the baking sheet. 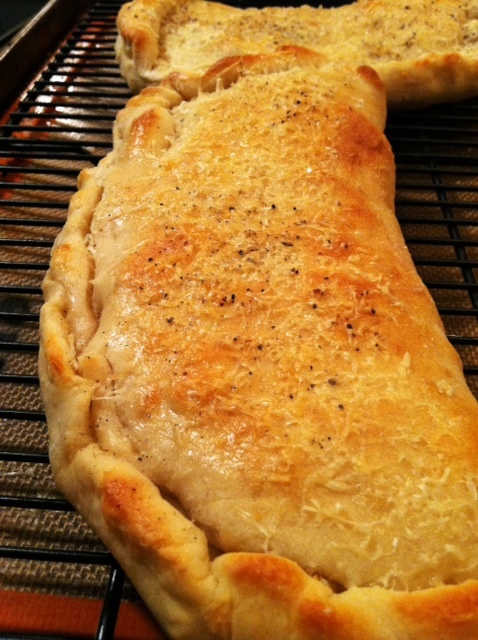 Sprinkle calzones with parmesan and a few twists each of pepper. Bake for 5 additional minutes. Broil for one minute if desired to get crunchy on top.